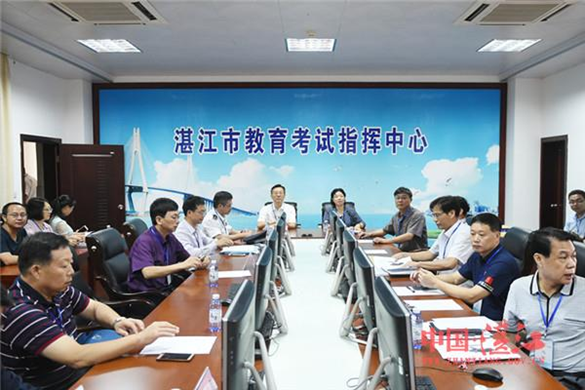 Zhanjiang Mayor Jiang Jianjun led a delegation to inspect examination venues on June 7, the first day of the national college entrance examination, to make sure that the annual academic testing event will run smoothly. 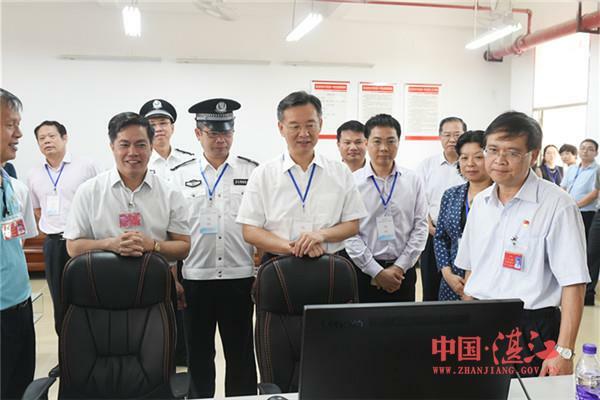 Jiang first went to the Zhanjiang Educational Examination Command Center, where he watched live feeds of the exam sites across the city via a monitoring system and was given a rundown of the overall situation. Along with the other delegates, he then visited the Zhanjiang No 2 Middle School and No 1 Middle School in the Zhanjiang Economic Development Zone to learn more about the exam site layout, the organization of examiners, and the surrounding environment. Jiang pointed out that the national college entrance examination, also known as the gaokao, is a major concern for thousands of families. Not only does it significantly affect the future prospects of the test takers, but it is also essential to educational fairness and social stability. Relevant departments were urged to coordinate on noise control, sanitary upkeep, and food safety to ensure a sound exam environment. Criminal activity related to the exam was cracked down on to ensure an open and fair gaokao. Meanwhile, the southern coastal city prepared for the possible aftermath of Ewiniar, the fourth typhoon of the year, with contingency plans being drafted and maneuvers being carried out.